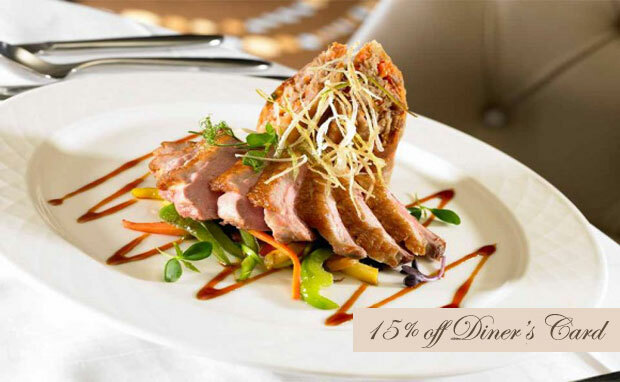 We offer 15% off diners card to some of the best restaurants downtown has to offer. 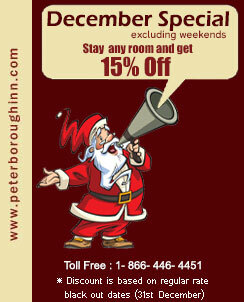 Most within walking distance from our centrally located downtown Hotel. 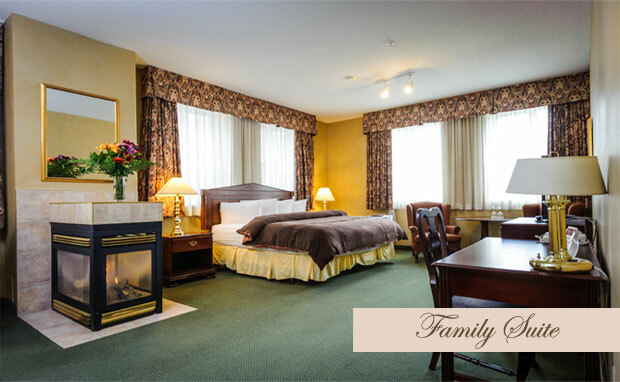 Our Signature Suites complete with luxurious king or queen size bed, gas fireplace, sofa seating area, fridge, microwave oven, standalone shower & double whirlpool (only in King and Family Signature) tub is a wonderful way to get away from it all while only steps from the shops & restaurants of downtown Peterborough. 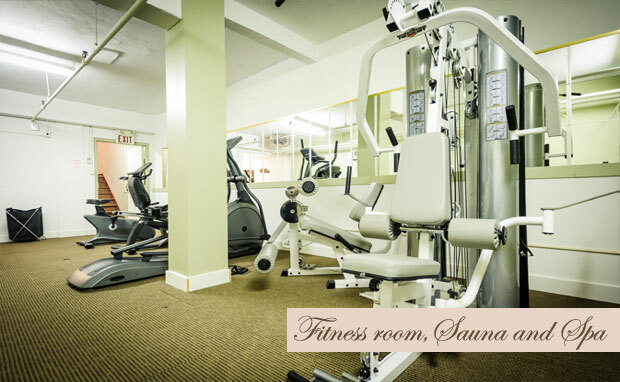 Our fitness area is great for an early morning workout on an elliptical or treadmill, or a late night. Fitness area can be accessed after hours by asking at the front desk. Our lobby is ideal for reading a magazine, picture taking, or for meeting with friends or colleagues on our comfortable couch & chairs. It is adjacent to our breakfast area where a deluxe continental breakfast is served every morning from 6:30a.m. to 10:30a.m. 24 hours coffee & tea from dark roast coffee to chamomile tea our selection is expansive. 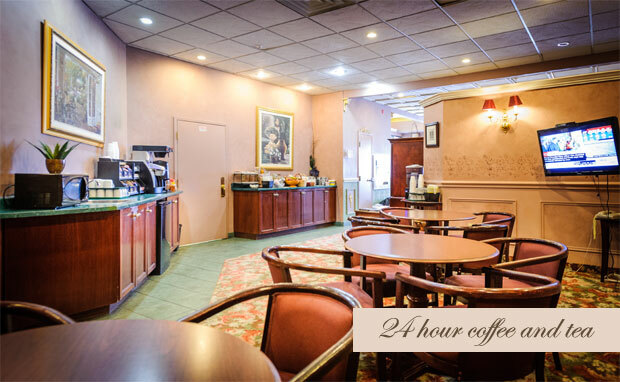 Our comfortable tables & chairs are open 24hrs with deluxe continental breakfast served every morning 6:30a.m to 10:30a.m. Wi-fi is available in the breakfast area, for an early morning work session complemented by flat screen T.V. broadcasting the news to start your day right. 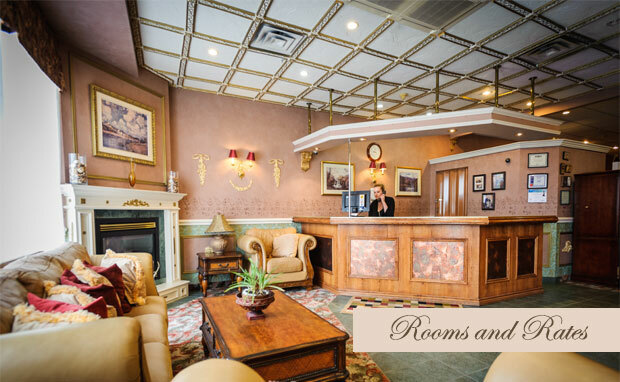 Whether you are staying with us for business travel, a small conference, retreat or getaway, the Peterborough Inn & Suites Hotel is your perfect meeting place. Take Highway 7A to Highway 115 exit.